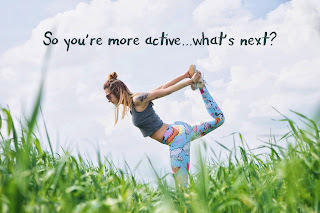 The Honest Dietitian: So You're More Active...What's Next? They say we are what we eat. It’s hard to eat healthy foods all the time. But if you can make one or two changes each day, you may find it benefits your health enormously. We all know we should be eating more fruit. And it does feel good to be eating fresh fruit each day. To make it easier, why not make your own smoothies? 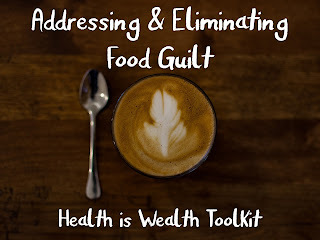 Have a look at websites like http://www.prevention.com/food/20-super-healthy-smoothie-recipes for ideas. You can take them with you on the go, or enjoy the fresh first thing in the morning. You don’t have to add yogurt if you don’t want to. Blending different fruits together may also lead to you blending vegetables too. You might use a soup maker to enjoy the warm. It’s thought the healthiest way to enjoy vegetable is to eat them raw, though. Have a look at websites like https://www.blenderfriend.com/ to find out which blenders can help you here. Drinking your five-a-day is quick, easy, and super healthy! Plus, this is a great way to get some added fiber into your diet (which we all know I am a huge promotor of this). You might be wondering if there is any truth to all the superfood claims. There are certain foods, like blueberries that might be packed full of nutrients to helps us stay healthy. Avocados and tomatoes also fall into the superfood category. There are many others. If you’re looking to improve your health, it seems unlikely you will succeed if you’re eating foods you don’t like. Why not pick a range of fruit and veg that you do enjoy eating for a balanced, healthy diet? It can be a good idea to strive to build on the positive changes you’ve already made. If you’ve increased your level of activity a little, why not add an exercise class into the mix? Don’t be disheartened if you don’t like the one you picked. Finding the right one that you enjoy and have fun doing takes a few tries. I was intimidated by the idea of weightlifting but once I gave it a try, I fell in love with it immediately and gained a different type of confidence in myself that I hadn't found in other sports. You can also find extra motivation in recording your achievements. There are plenty of apps that you can log your activity and meals with. Then you can see your progress on a graph. It’s a good way to stay motivated and strive for further improvement. What’s next for you? Comment below and tell me about it! Wonderful article. Dr. Kevin Mullin is devoted to perfection in endodontics and root channel treatment, for example, root waterways, dental implant. He will take the important time with every patient to clarify their dental treatment alternatives so they're comfortable with the recommended dental treatment.